Help your teens become financially literate so they can succeed once they leave home. 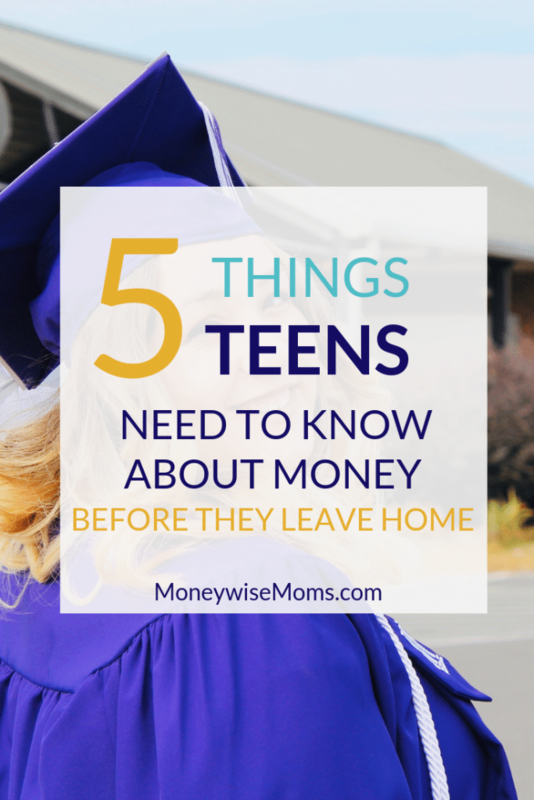 These are my Top 5 things teens need to know about money. Leaving home is a big step for a teenager. The excitement teens experience can often overshadow the importance of responsibility. Parents often wonder if their children are equipped for the world outside of their protection. 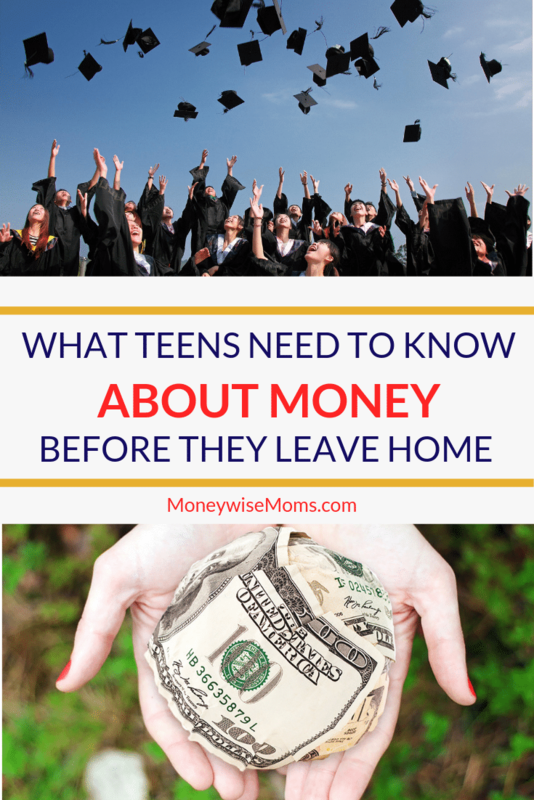 Here are a few financial basics to make sure your teen understands before they leave the nest. The best way to equip a teen for adulthood is to teach them how to manage their money. Budgets are essential to understanding where your paycheck goes each month. 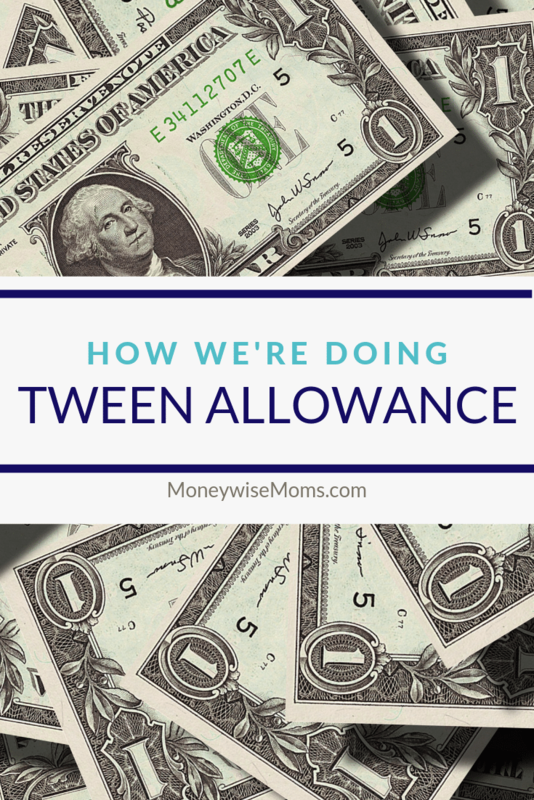 We’ve done this using our method of tween allowance, which has extended into their high school years. Our son has learned how to balance wants and needs with his personal budget. Showing your teen your own personal budget may be another great place to start. Or, consider creating a budget for a family activity or a trip so that everyone can be involved in saving and spending together. Building credit can be extremely important, but also extremely terrifying. Credit cards, when used wisely, can have definite benefits, like cash back or free flights. But when used unwisely, you can quickly end up underneath a mountain of seemingly insurmountable debt. 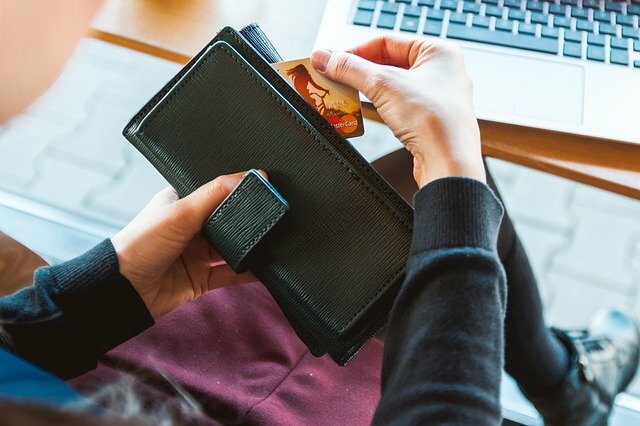 Talking to your teens about how credit cards aren’t “free money” and come with interest rates is one of the most important financial lessons they can learn. Online banking has made the need to balance a checkbook nearly obsolete. However, understanding the importance of keeping your personal information private is essential. Teach your kids where and how to store their Social Security Number, bank account information, passwords, etc. Apps are available for both Android and Apple that can help your teen keep their information both available to them and private to the world. Student loans are often the only financial choice for anyone who wants to further their education. Help your teens understand that loans come with a price–often a hefty price: steep interest rates. The student loan bills will start rolling in a mere six months post-graduation and many students are ill-prepared for this bombardment. Explaining concepts such as consolidation and deferment will benefit them post-college. Thinking about the future is all your teens are likely doing, but how far ahead are they thinking? Teach your teens about saving money, having an emergency fund, investing, and retirement. Use yourself as an example so they can see how to prioritize their savings. These lessons set them up for an extremely successful adulthood. 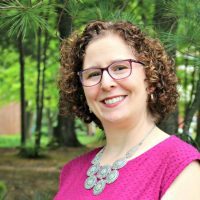 While discussing finances may not be the most exciting conversation for a teen, it may be one of the most important. You may be surprised what they remember and take to heart. 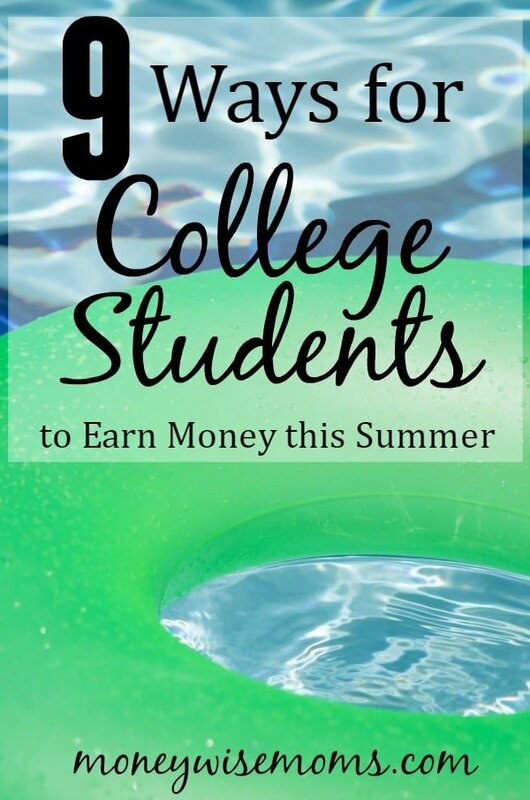 Set your teen up for success by teaching them to handle money for years to come.